We’ve been busy working on the design plans for the Enticy lobby and they’re finally ready. Take a look! Walking into the Enticy lobby feels like stepping into a boutique hotel. Elegant, modern and minimalist, it features an open-plan design and sprawling ceilings, along with a wall of windows that bathes the space in natural light and offers an unobstructed view of Mackay Street. Omnia collaborated with Alain Desgagné from INNEDESIGN for Enticy’s interior design. 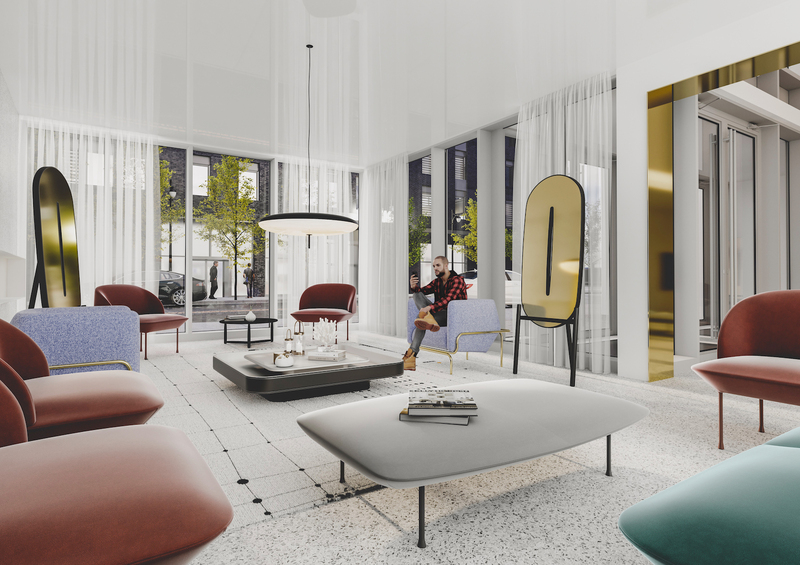 Right off the lobby is a private co-working lounge reserved exclusively for Enticy residents. With a contemporary yet cozy feel, it’s the ideal place to work, study or relax over coffee. The only downside? You may never want to leave!